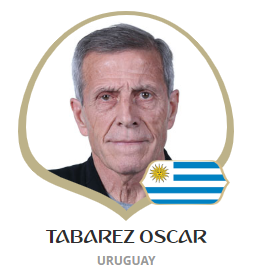 Uruguay head coach Oscar Tabarez is suffering from a rare disease called Guillain-Barré which significantly limits movement. It’s an inspiration to see him in charge of the national team even in his condition. The players & staff hold him in high regard.